After considering your options and doing your research, you've decided to build a home. Congratulations! So now what? At Oberer Homes, we make it a mission to offer customized attention to detail and innovative craftsmanship leaving you more than impressed with your new home. Explore these tips on finding a trusted home builder in Ohio, ensuring all of your needs are not only met, but exceeded. During the erratic and stresses of everyday life, it is important to find tranquility and relaxation in the comfort of our homes. If you are craving clarity and comfort in your personal space, stay tuned to learn how to make your newly custom home feel more Zen. 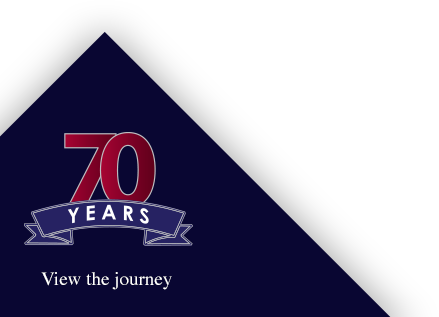 For the past 70 years, Oberer Homes has been serving the Miami Valley with premium community care and we couldn’t be more proud! Our team sincerely thanks you for your continuous support! Because of you, we are able to build strong communities for families to enjoy years to come. Our greatest reward comes from the recognition we receive from our homeowners, and we look forward to what the future has to bring! At Oberer Homes, we make it our mission to build the perfect home for your family’s needs, assisting you through each step along the way. The importance of homeownership affects our daily lives, from providing financial and social stability to positively impacting the economy. Breathing quality indoor air is crucial to maintain good health. The good news is that new, custom built homes offer healthier air quality than homes built years prior. Learn why indoor air quality in your home is important, and what you can do to ensure your family is healthy. Spring Cleaning: Let’s Get Organized! Spring has almost sprung! Dayton, Ohio experiences some harsh winters usually leaving walkways discolored from salt and snow removal. With the warmer weather coming, now is the perfect time to tidy up around your newly custom build home. Consider getting organized with these spring-cleaning tips! Unfortunately, there are a lot of myths about custom building a new home that may scare new homeowners from the idea. The Oberer Homes team is here to debunk the home building myths, allowing you to rest at ease with your decision. Perhaps one of the most exciting perks of custom building your home is the freedom to customize the space. Having the option to customize your home allows you to truly reflect your family’s lifestyle, easily matching the home design to your needs.